The book introduced below, Understanding Thoughts of Sri Aurobindo, brought out under the auspices of the Centre for Sri Aurobindo Studies at Jadavpur University, is an anthology of papers written by scholars that selectively explore some aspects of Sri Aurobindo’s thought. The final paper “Sri Aurobindo: A Century in Perspective” starts with the founding of the National College of Bengal a century ago and looks at the work of Sri Aurobindo in the perspective of our contemporary consciousness, suggesting how his work can guide us in confronting the questions raised by the findings of modern scientific research. The book also has some interesting historical sidelights. Jadavpur University is the modern day incarnation of the National Council of Education (NCE) which came into being as part of India’s freedom movement a century ago. A national education had a vital role to play as a powerful form of resistance to British rule and a means to achieve self-reliance through the literary, scientific and technical education of India’s new generations. The founding of the NCE and the Bengal National College was made possible by the generosity and inspiration of nationalist leaders, among whom we can count Sri Aurobindo and Raja Subodh Mullick. These two also collaborated on the nationalist newspaper Bande Mataram. In the July 13, 1907 issue of this paper, Sri Aurobindo wrote that “Swadeshi in Education does not mean teaching by Indian professors only or even management by Indians only. It means an education suited to the temperament and needs of the people fitted to build up a nation equipped for life under modern conditions and absolutely controlled by Indians.” There are two articles in the forthcoming issue of SABDA’s Recent Publications newsletter that tell some of the story of what happened behind the scenes in those early days of India’s freedom struggle. Education impacts the quality of existence at various levels through the principle of transformation, i.e. upward opening and expansion of consciousness. It prepares the individual for progressive change in the consciousness, “a turning towards” and contacting the all-pervasive reality. This makes integral education dynamic and evolutionary in nature. It is democratic as it holds that true teaching consists in consulting the instrument of knowledge in the progress of the individual. It allows an experience guided by integral principles. It has a progressive pedagogy well-cushioned by Integral Yoga which dissolves the limits of consciousness of the individual and the society in a methodical way. This anthology of penetrating essays that explore and explain the avenues of thought laid out by Sri Aurobindo in his major writings offers to the reader a deep and wide look at philosophy, evolution, education, poetry and art, man and his relations, politics and the state, and yoga and psychology. The contributors are committed and serious scholars who feel that Sri Aurobindo’s thought offers the surest basis for understanding the past, present, and future dilemmas facing man. 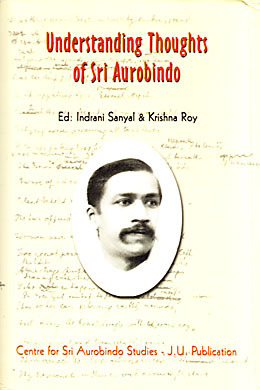 The book begins with an overview of the seminal ideas of each essay and concludes with some suggestions for new research, based on Sri Aurobindo’s work, in view of contemporary advances in science and technology and the current interest in transformative practices throughout all fields of study. Based on a series of teacher-training workshops conducted across India, this book aims to introduce and orient parents and teachers to integral education: a new approach to learning and teaching, a new attitude and mindset that focuses on responding to each child’s unique needs and learning style. Chapters are organised first to reveal the foundations of this new approach, then to provide strategies to help move from the old ways of teaching to the new, followed by practical classroom projects and techniques, and finally an examination of the kinds of changes teachers and parents must undergo to become the inspirational guides their students and children need. This compilation highlights the unique role of work in the Integral Yoga, beginning with a section on the necessity of work as a “field of endeavour and a school of experience” for the sadhana. 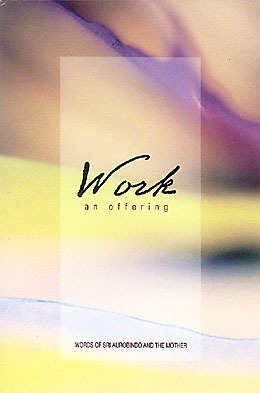 Originally presented as an exhibition, the book is organised into short sections that cover topics such as how to prepare yourself, have the right attitude, and then offer your work; how to face the difficulties in your daily work environment; and how to move away from the illusions of ego-centred work toward becoming a true instrument for the Divine’s work.